As already stated out in the skype conversation, you will hopefully update the architecture soon to support more games (eg republic commando). Established problem: the heartbeat uses \x00 as separator and different keywords. 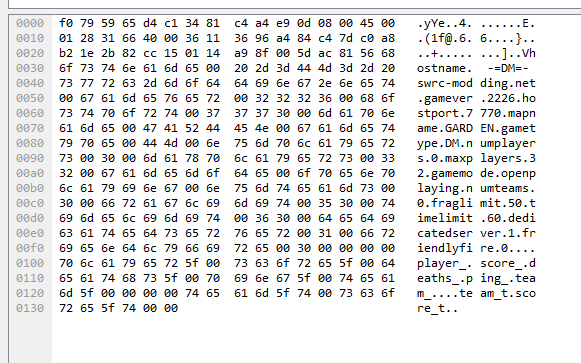 The query uses \ as separator for gamestats. The client uses \x00 as separator. Secure/validate challenge is not indirectly supported. Projected solution: stripped version of the masterserver to support only swrcommando on ports 27900/28910. Use \x00 as default separator (index off-by-one). Ignore query (or do not handle it). Use \x00 as separator for client connections. A drawback is that the ports are hardcoded. 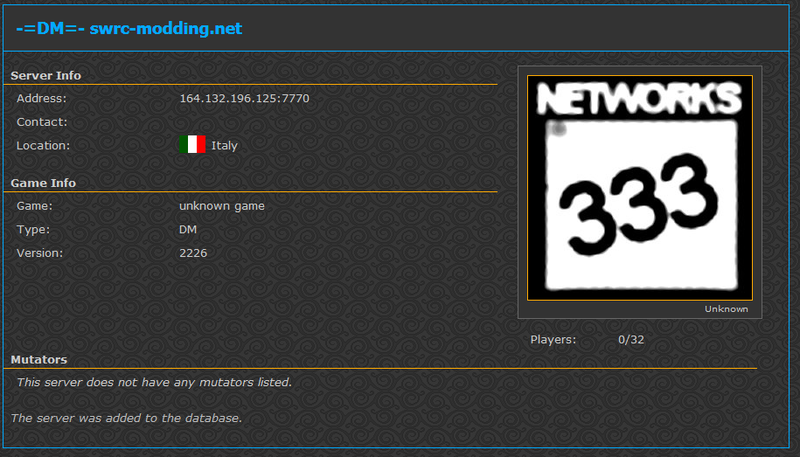 That means that the stripped swrcommando masterserver can not run in parallel with the 333networks masterserver. There will still be some debugging involved, and it will cost some time. I will take a look at it this weekend/upcoming week as time becomes available.